Setting sail from Iceland’s capital, journey northwards across the Arctic Circle via little visited Jan Mayen before arriving in Svalbard where you’ll spend 6 full days exploring. Experience three very distinct islands in a single voyage with optional kayaking for the adventurous. Welcome to Reykjavik, the capital of Iceland and starting point of our expedition. After arriving via scheduled commercial flight service, you are free to explore this fascinating city. Reykjavik is home to a wealth of cultural institutions including museums, galleries, and the Hallgrimskirkja church. Leisure possibilities inside the city include parks, gardens, and thermal baths. You can also take advantage of Reykjavik's wide range of shopping possibilities, excellent dining options, and famous nightlife. Your hotel for the night has been arranged by us and is included in the price of the voyage. In the afternoon, we welcome you aboard the luxury expedition ship. Explore the ship and get comfortable in your home away from home for the extraordinary adventure to come. Savour the anticipation of your Arctic dreams coming true as we slip our moorings and sail out of the harbor. Our expedition day in the Westfjords area reveals the rare beauty of the part of Iceland where mass tourism disappears - only about 10% of Iceland's visitors ever see the region. Taking advantage of every weather favorable condition, we choose the best places to discover breathtaking coastal fjords, jagged bird cliffs, and tiny fishing villages embracing traditional ways of life. The tiny island of Grimsey lies exactly on the Arctic Circle. Grimsey is remarkable for majestic basalt rocks and bird colonies where one can see the Atlantic puffins, known also as the "clowns of the sea". Jan Mayen hosts the landscapes of breathtaking beauty and northernmost subaerial active volcano on the planet - the Beerenberg. The island is wild and uninhabited not including members of Norwegian weather station. The signboard at the entrance door says (translated from the Norwegian): "Theory is when you understand everything but nothing works. Practice is when everything works but nobody understands why. On this station, we combine theory and practice in a way that nothing works and nobody understands why". Northern fulmars, Kittiwakes, and Brunich's guillemots breeding on steep cliffs and slopes represent the birdlife of Jan Mayen. Polar bears and other quintessential Arctic wildlife can be spotted anytime, anywhere in and around Svalbard. 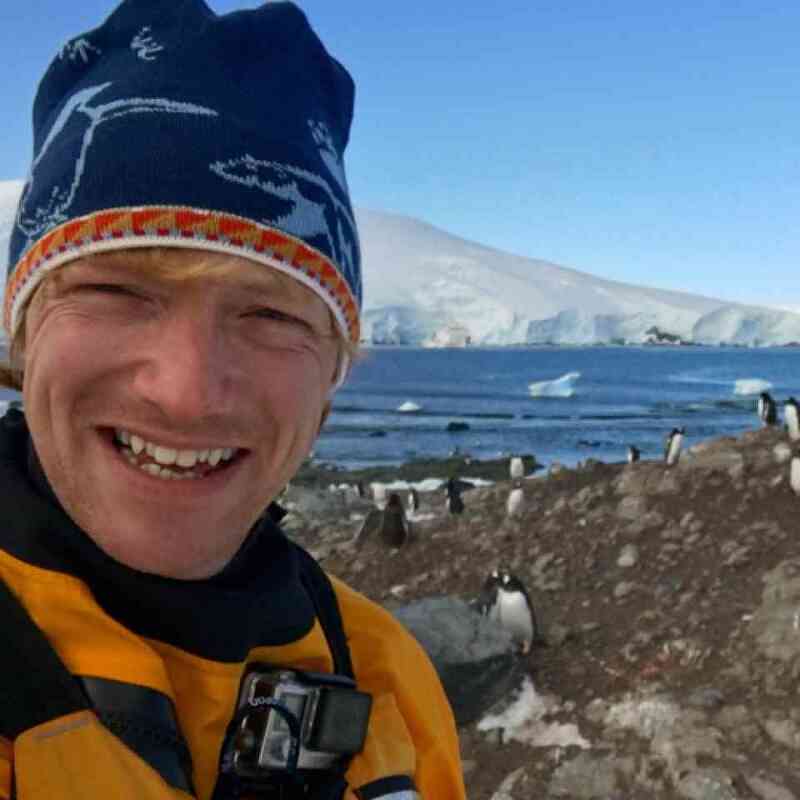 We exploit every opportunity to experience excellent wildlife viewing, to discover incredible scenery, and to walk in the footsteps of the historic polar expeditions that came before us. 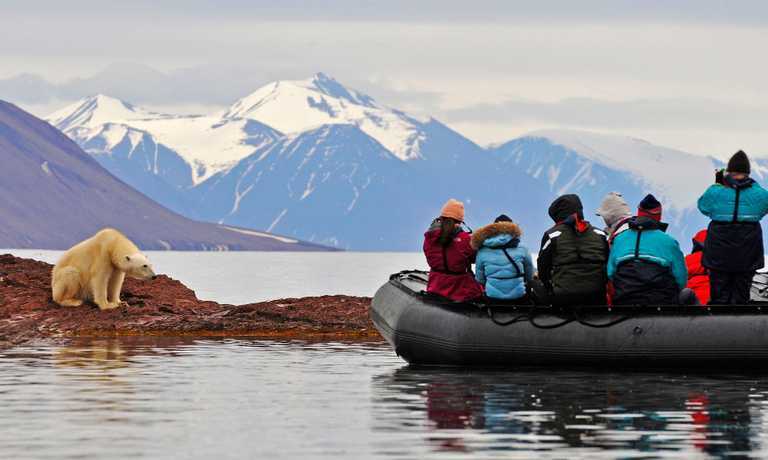 We anticipate exploring the spectacular fjords, coasts, and islands in the western part of Svalbard. 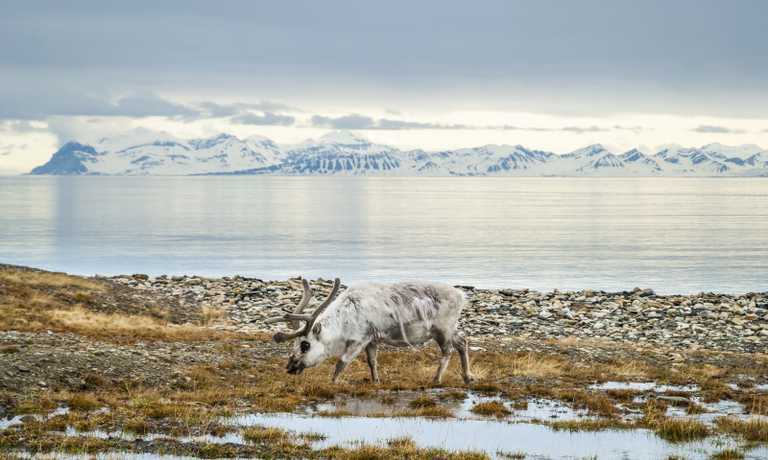 This area contains the archipelago's most impressive scenery and some of the Arctic's best wildlife viewing opportunities. Deep fjords and narrow channels are flanked by jagged snowy mountain peaks. Immense tidewater glaciers calve icebergs into turquoise waters. 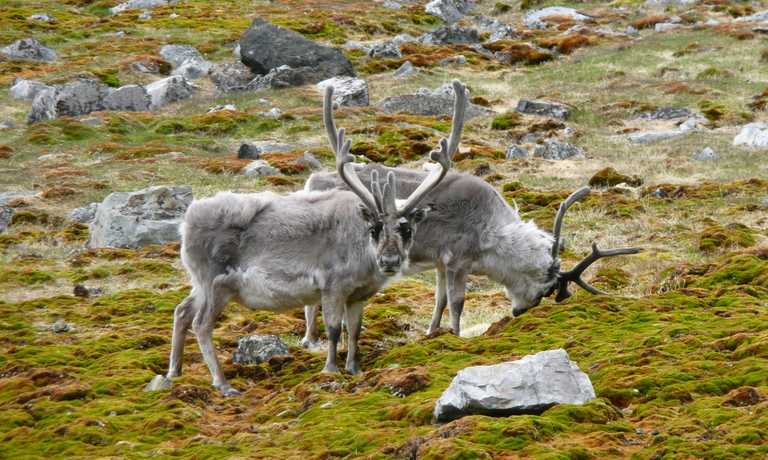 Fields of flowering tundra are home to grazing reindeer and playful Arctic fox. Bountiful inshore and offshore waters are home to walrus and a wide variety of whales. The whole area is alive with migratory birds, including numerous rare species, taking advantage of summer's fecundity in 24-hour daylight. To complete the Arctic experience we also explore places rich with history. Our area of exploration contains the historical remnants of whaling camps, coal mining operations, trappers' cabins, staging areas for historic attempts to discover the North Pole, and even an abandoned polar research station. Human habitation in this area can be found only at Ny Alesund, a former mining town that is now home to an international community of Arctic researchers. This is one of the world's most northerly settlements, complete with museum, gift shop, and post office. The days are filled with memorable excursions, sumptuous meals, presentations by our experts, and enough stunning scenery and wildlife to fill your camera and overwhelm your emotions. I was really wowed by this ship’s large cabins and an enthusiastic expedition team rounded off a terrific voyage. This trip can run as a group trip, with prices starting from $6,395 per person for a complete group. If you are looking to join a group or you are a solo traveller we will help to form likeminded groups of travellers. Please let us know your travel plans. For those travelling solo and want their own cabin, the single supplement is 1.7 to 2 times the cost of a single berth, depending on cabin category, please contact us for details. However, there is no single supplement for passengers willing to share a cabin. Children 8 years old or over are welcome. Children 8-12 years old are only charged 150 USD per cruise night. Please contact us for details.